Anxiety problems affect nearly 65,000 youth in British Columbia every year. This workshop is designed for parents, educators, or anyone who is in contact with children or youth to recognize the signs and symptoms of anxiety. We provide tools you can use to help children and youth develop the necessary coping skills to deal with worry and the difficulties of life. This workshop also addresses the dynamics of dealing with anxious students in a classroom setting, providing strategies and suggestions for building into the mental health of children. Community services and supports, online resources, and anxiety management strategies will be thoroughly explored. This session will be held at Okanagan College as part of their Continuing Studies Winter (2018) Program on Thursday, November 15th from 6:00pm – 9:00pm. Click here for more details and registration. Or call 250-861-3644 and ask for our Community Education department. SunFM and Luv is Luv Entertainment Society will be holding a haunted house fundraiser on October 29th, 30th and 31st from 5:00pm to 9:00pm, raising awareness and funds for mental health programs and services in our community. Two fields will be decorated at Safari Ridge with animatronics, ghosts, people in costumes, Halloween decorations, etc. There will be a variety of food trucks on site, a Halloween dance party on October 29th at 6:00pm, prizes for the top 3 costumes and free goodie bags for the kids. Admission price is a suggested minimum donation of $5 per person. This June 24th – let’s ride! Kelowna, we want you to join us on June 24th for the Payton & Dillon Budd Memorial Ride as we come together to Ride Don’t Hide as a community and #GETLOUD about mental health and suicide prevention. Register today as an individual or as part of a team with your family, friends or co-workers and help us raise funds for mental health programs and services in our community. Let’s help people of all ages access the help and support they need to live their best lives. Children 12 years and under ride for free! Routes: This community event accommodates riders of all ages and abilities with three different rides: a 6.5 KM Kids / Family Route, a 20 KM Route and a 60 KM Route – route details coming soon! 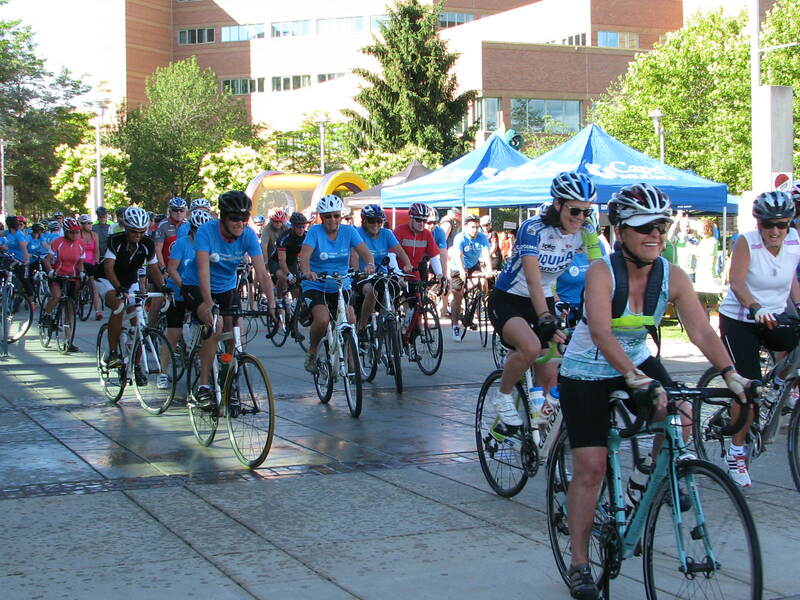 We even have an option for you to sign up as Virtual Rider – no registration fee, no riding but you can still support the event and CMHA Kelowna by fundraising! Find out more about the ride here or click the buttons below to register or volunteer. About the Payton & Dillon Budd Memorial Ride: At CMHA Kelowna we want to let anyone struggling in silence to know they are not alone. That’s why we are dedicating our Ride Don’t Hide event to the memory of two brothers in our community. The Payton and Dillon Budd Memorial Ride is a rallying point for us all: Anyone can experience poor emotional or mental health. Anyone can be at risk for thoughts of suicide. No one should have to hide or stay silent. On June 24th, join us and ride in plain sight to raise funds for programs and services in our community. When we hide, mental health stays hidden. When we #GETLOUD about mental health – we help reduce the stigma so more people can get the help they need, earlier. It’s so important that we create opportunities to open up conversations about mental health. In any given year, 1 in 5 people in Canada, from all walks of life, will personally experience a mental health problem or illness and the other 4 will likely be profoundly impacted by it. It is crucial that we, as a community, keep getting loud about mental health so we can continue to help people of all ages access the help they need, when they need it.